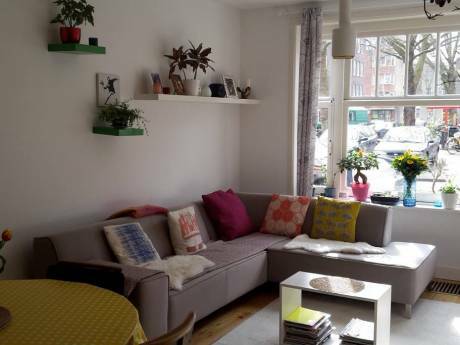 For everyone who loves Amsterdam and living in the sun this light 3-room apartment is the place to stay. Our 3-room apartment is set in one of the liveliest neighborhoods of Amsterdam-West, 10 minutes by bike to the city centre, the Vondelpark or the shopping and theatre district of the Leidse plein. 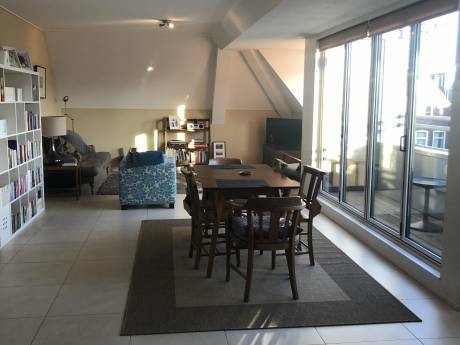 On the 3rd floor you will find a spacious living, fully equipped kitchen, bathroom and a spare room (with balcony) where an aerobed can be put if you are with more than 2 guests. Through the staircase with a window ceiling you will enter the 4th floor where you will find a 15m2 roof terrace bathing in the sun from 11am to 9pm (unless it is bad weather ;). Here you will also find a spacious bedroom and from the bed you can watch the stars through a roof window. During your stay you will have a television set with dvd and wifi at your disposal. 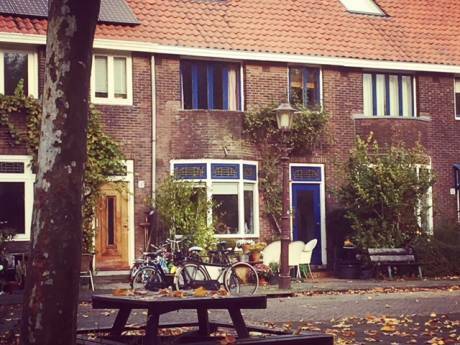 The neighborhood De Baarsjes is a mixture of everything: lively restaurants, galleries, (food) shops and international diversity. 2 minutes from the house you can take the tram which will take you to the Dam square in less than 10 minutes, although biking is much more fun and will take you just as long. We will leave you a list of all our favorite spots! We have two very lovely cats who will cuddle up to you if you like it. If you don't like cats we can send them over to our friends. We are sure that you will have an amazing time and will truly get to know Amsterdam from our spot and are able to relax if you have had enough of all this city has to offer!